Gordon Strachan has named his squad to face Estonia next week. Despite the previous managers reservations in picking any 3rd Division, Rangers players Strachan has pulled in Lee Wallace. The squad has a familiar feel with the majority of players coming from the Championship and EPL. Chris Burke returns after a long hiatus and Kenny Miller is included along with no fewer than 8 attackers. Scotland play Estonia next Wednesday at Pittodrie Stadium (Aberdeen). The English may have droned on about “Football coming home” in Euro 1996 but in reality the spiritual home of football and the World Cup is Brazil. It is has been a long held belief that the Brazilians have an unmatched, style and grace to their game, in tempo with their Samba beats. Some call it “Jogo bonito”, most simply football as it should be. Brazil have qualified for every World Cup since its inception in 1930 and made an indelible mark every time. The Brazilians are synonymous with the World Cup. A World Cup without them is unthinkable while a tournament in their back yard will not doubt be amazing. Every football fan has their special, Brazilian World Cup moment stretching back decades. The more aged love to recall Pele’s goal in Sweden 54’ or his saved header against Gordon Banks during Mexico 70’. Brazil’s 4rth goal in the World Cup final in 1970 is regarded by many as the best ever: the free-flowing dribble of Jairzinho, lay-off by Pele then daisy cutting screamer by Carlos Alberto encapsulating Brazil in one fluid passage of play. While the seventies and eighties were lean in terms of success we still got to see Zico, Careca and Socrates waltz around hapless, defences and 86’ they were part of a wonderful game against France in the quarter finals. 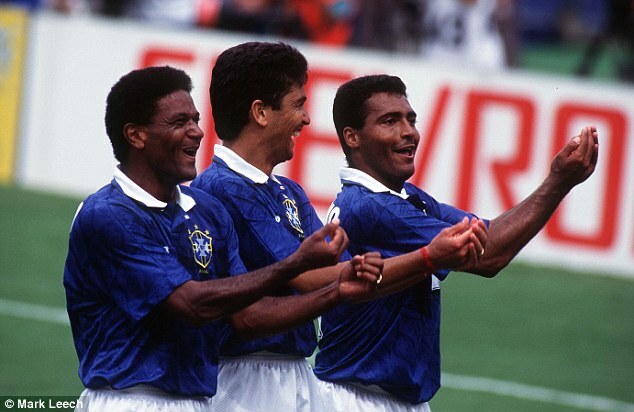 In the nineties we had the Bebeto and Romario baby-cradle celebration at USA 94’ and Ronaldinho’s cross come chip over the ponytailed David Seaman in 98. This signaled Brazil’s return to form with tournament wins in 94 then 2002 and following. Both these wins were marked by the “original” Ronaldo, his apparent pre-final collapse in 94’ redeemed by his performance in Japan and Korea. Personally, from a Tartan point of view I recall Jim Leighton’s needless parry into Muller’s path in 1990 and Tommy Boyd’s bundle into his own net in the opening game of France 1998.Both classic examples of Scottish football suicide against Brazil. There will not be any Scotland/Brazil World Cup moments for some time. 32 teams will compete for the 20th World Cup in Brazil, firstly in 8 groups of 4 then breaking into 16, the quarters, the semi-finals then the final on Sunday the 13th of July. This is a breakdown of the probable competitors in at Brazil 2014 (in my opinion). Europe garners the most qualification spots and already the cream is rising to the top. Spain will not receive an automatic qualification spot as holders but their passage to Brazil is a certainty. Similarly Holland, England, Italy and Germany will breeze their way to Rio without much hassle. Current form team Belgium will face stiff resistance from Croatia but should eventually take 1st place in Group A while Sweden and Portugal should overcome most of the 2nd placers to progress. 4 extra places: France, Portugal, Croatia and Sweden are arguably the best of the runners-up but they may be pitched against each other in the play-off draw. The ten winners of the current groups will play in 5 fixtures: home and away to determine qualification. It is hard to predict the qualifiers at such an early stage but the completion of the current African Cup Nations should give us a clue to the strongest teams on the continent. That being said powerhouses such as Egypt and Cameroon missed out on this year’s tournament but will probably claim a qualification spot. Ghana, Ivory Coast, Nigeria, Zambia and Egypt (providing the country does not slide into anarchy and they get their national league in order). Japan, South Korea and Australia have been perennial qualifiers in recent tournaments. With a healthy amount of their players competing in some of Europe’s stronger leagues they should confirm their qualification with little problem. Uzbekistan has been the surprise team in the qualifiers so far. A 5th place team will have to battle out a play-off with the COMNEBOL 5th place team. This will probably be a hard task to complete as the South American teams are of a far higher level. Hosts Brazil takes an automatic spot and shall be joined by 4 teams automatically qualifying and the 5th place team who must play off against 5th place from the Asian Football Confederation. In reality this means an extra team for South America as any team from the COMNEBOL zone is more than capable of overturning the likes of Qatar, Iran or Iraq. The surprise teams of this campaign have been Ecuador and Venezuela both of which have hurt the big guns home and away. Although Ecuador made 2002 and 2006, Venezuela have never graced the greatest tournament so far and will be eager to make history. Paraguay usually claims a spot but has had a hellish campaign thus far and already out of the reckoning. Mexico and the USA will be fight it out with each other for top spot, leaving Costa Rica and Honduras to battle for the automatic 3rd place. 4th place will, in all likelihood, have to play-off against New Zealand which is a far better team than previous decades. 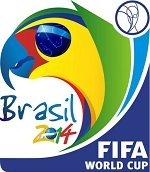 New Zealand will have to play-off with the 4th place CONCACF team for their berth in Brazil. They managed it last time round over a limited Bahrain but will have to step it up this time around. They left South Africa, 2010 undefeated after recording draws against Slovakia, Italy and Paraguay. Balotelli is on his way the EPL will be poorer for it. It looks like Super-Mario will return home and sign on for Italian giants AC Milan. The Italian striker has been cast as a petulant child often regarded as immature and surly with a disregard for the fans and his coach, Roberto Mancini. In his short stint in English football many have concentrated upon his off field indiscretions and silly behaviour but unlike a slew of British players you cannot say antics were anytime malevolent or nasty. There haven’t been any nasty outbursts or fights with fans. No events that could be regarded as unsavoury. Yes, he has been daft but who isn’t at 21, especially in a foreign country and with an obscene amount of money. Much has been about his red and yellow card count. Ok, so he gets stuck in. Paul Scholes has done this for decades but lauded as a genius. 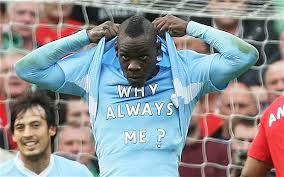 I’d rather have Mario Balotelli than John Terry. For all his flaws Mario is a character and those rare species are severally lacking in the British game. There seems to be a negative connotation to the term “eccentric” but in reality it is description that should be cherished. Mario is not eccentric in the media sense but normal and has more in common with Man City’s mad-cap, fanatics than any other player at the Etihad. Is it really a coincidence that he is constantly criticised in the media but refuses to give interviews to the hacks nor play their game. It looks like the press have got their wish and pushed Mario back home to Italy. Well done idiots, who are you going to write about now? Uefa have released their team of the year and yet again, disgracefully there are no SPL nor Scottish stars. More troubling for the English and the Premier League they do not even get a mention either. In reality it is not surprising as although Chelsea won the Champions League season they did so in a dreadfully, defensive and unenterprising fashion. Especially against Bayern and Barca. In the midst of league reconstruction blundering and general mismanagement, the Scottish Football Association has at last acted and confirmed Gordon Strachan as the national team manager. It’s a sensible and popular choice. Strachan represented Scotland 50 times, including in the Spain 82 and Mexico 86 World Cups and is best remembered for his fine goal against West Germany and “leg over” celebration. At club level he was a member of Alex Ferguson’s Aberdeen and early Manchester United teams and the leader of the Leeds United team that won the last English First Division title. After retirement he managed Coventry City, Southampton and Middlesborough but was most successful with Celtic where he won the title 3 times and secured two last 16 Champions League places. Strachan is also a regular pundit for the BBC and is known for his acerbic wit and one liners. 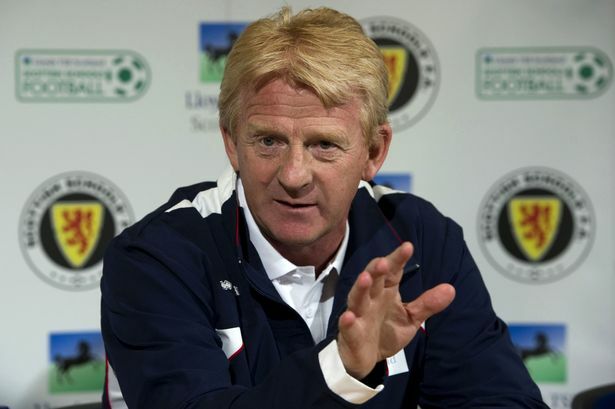 Given that World Cup qualification is more or less impossible Strachan will be tasked with reinvigorating a jaded Tartan Army and providing hope for the France 2016 qualification campaign. This will be no easy task but it is hard to see be as shambolic as previous incumbent, Craig Levein who masterminded tow dreadful campaigns and Scotland’s tumble down the FIFA rankings. New blog that which puts forward a practical and popular idea to Scottish league construction.